I’ve really taken to targeting Zander, such an intriguing fish thriving in its gloomy diesel filled habitat after being illegally introduced in to the Midlands canal system 30 years ago. The schoolies despite their size are as tough as old boots and angry as hell, if you haven’t caught one, give it a go, it’s an experience that may get you hooked, like it has me. They are not like any other coarse fish and I’ve nothing but appreciation for them as a species. Whether it’s the ‘bang’ on the lure they give, the aggressive take on a deadbait or when handled, the Tasmanian devil within them, they are a great sport fish. You would think from what you read on the internet that where there is Zander there is nothing else, but the reality if far from the truth. 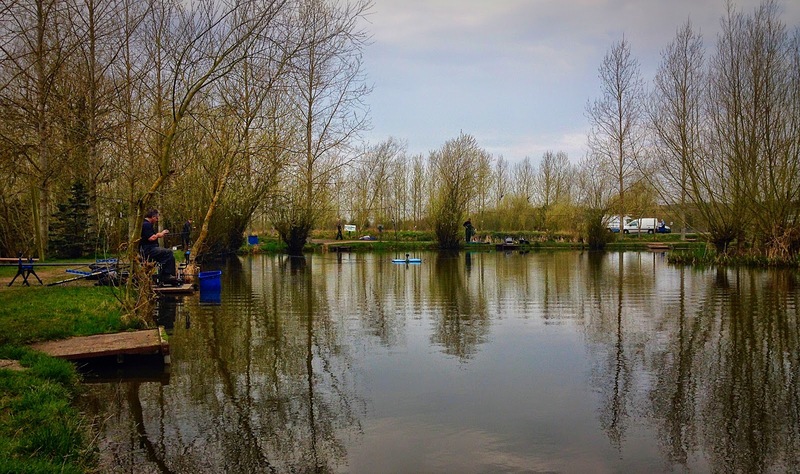 A recent match at a local schoolie filled stretch of the Grand Union every angler had around 20lb of fish. 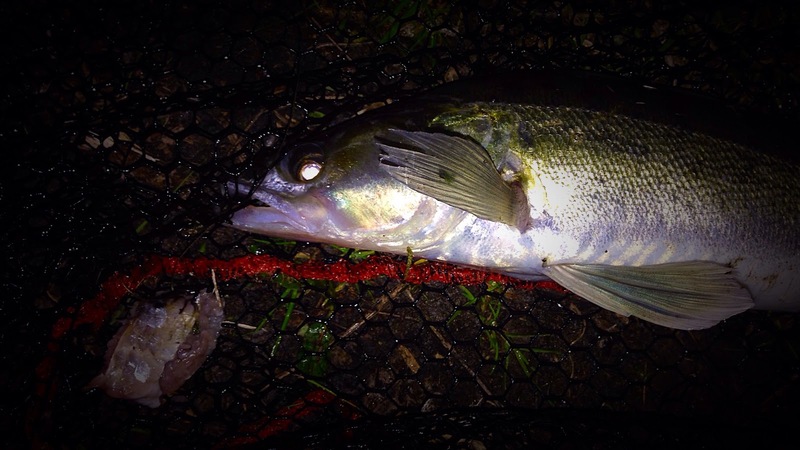 Nope, no Zander but bream, roach and perch, big and small, caught on the pole over ground bait with worm or caster. They’ve adapted since their illegal introduction and cohabit without major issue from what I can see. Even in the most fifthly areas of the canal you will find Zander, I’ve put some decent hours on the bank fishing for them over the last couple of years and to be honest that’s where you mostly find them, the clearer areas I’ve had less success. I’ve never had problems with them shying away from any resistance either, I use a small lead but I’ve no doubt it’s lifted off the bottom when it takes a deadbait, even the weighted bobbin doesn’t seem to be an issue. Pike are few and far between in the areas I fish so 50lb Arma-Kord instead of wire, maybe that helps as my headless roach running rig really does do the business. For this short evening session I wanted to try and area that is always coloured, I’d never wet a line before. I’d fished either side of it with some success but this was an area I’d previously overlooked. Is there a monster hiding here………..? 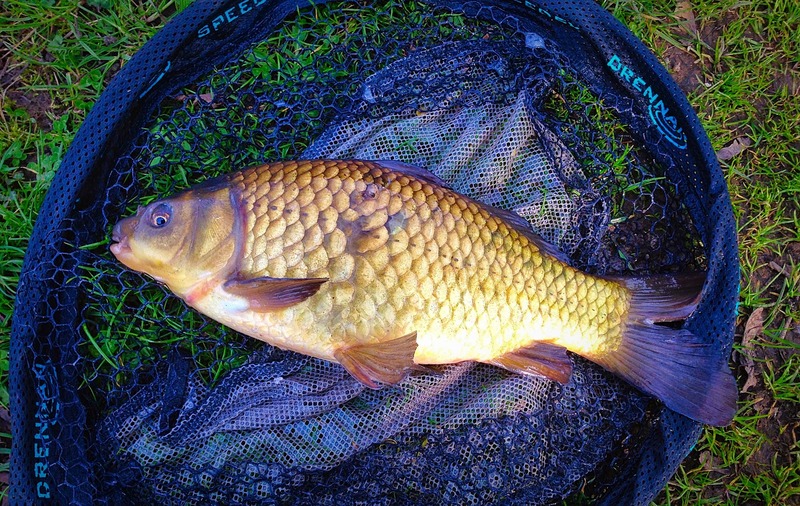 Within 5 minutes of the deadbait settling I had an aggressive bite and it was a small schoolie of around a 1lb or so, with another bait recast for ½ an hour or so no interest on either the lure of the roach section so I moved. This swim was much bigger and wider and had the luxury of some oxygenated water from a leak from the locks paddles. Again within minutes I had a run on the deadbait rod and this fish was a little better,at 2lb 10oz. 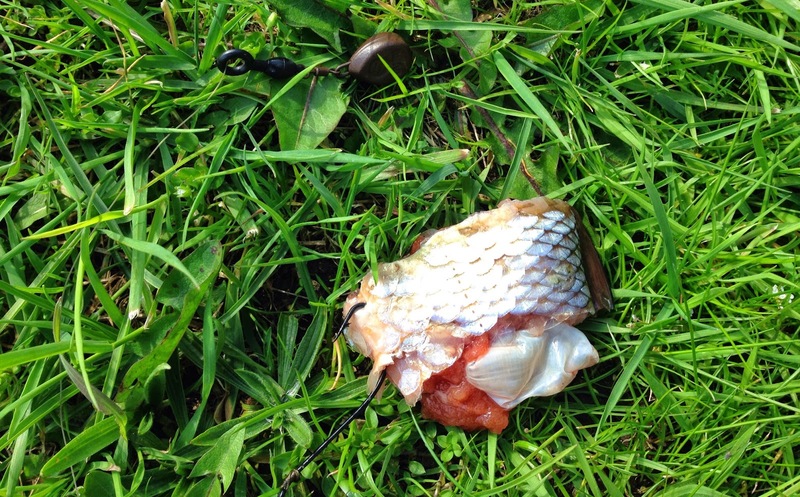 The bait was still intact to I positioned it again in the same area whilst unhooking and returning the fish. The lure wasn’t getting a look in so Heath Robinson style, I removed the lure and fitted a Raptor hook with a Roach head, the rod was then used quivertip style. As I’ve said before I’ve not found an issue with Zander and resistance and sure enough the tip started to twitch and bang and a fish was on. The smallest I’ve ever caught, around 8oz or, it didn’t fight particularly well but was certainly fast. 3 further schoolies made it 6 in total. What, back to where I’ve already had two blanks and remained fish-less. 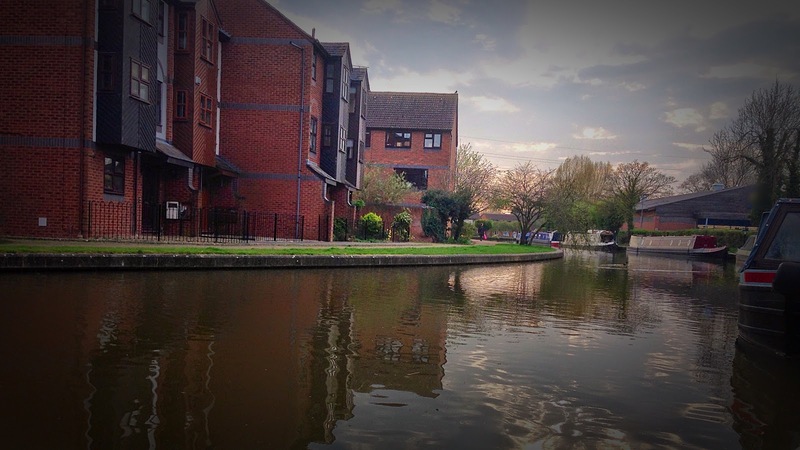 Yeap, after the last session here when something large disturbed the surface it was playing on my mind, so much so I changed my plans and decided to put off my visit to the Stratford-Upon-Avon canal. This time though apart from fishing the same swim for an hour and a half or so to put my mind at rest, I’d fish the end of the stretch for the remainder of the session. It was an area I’d not fished before, it was narrower, had easier access and also had a few locks in the mix for much needed feature. If a half decent Zander was here as I’ve been told hopefully it would be easier to find. 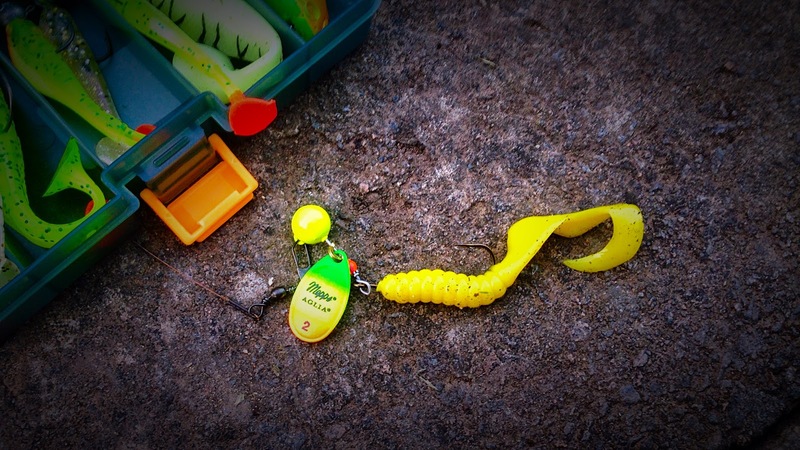 The simple headless Roach rig. The reality is with so much canal to go out and so few possible double figure amongst the plebeians I knew it was a herculean task. It really is needle in the haystack stuff and needs far more dedication than I can probably give. If I blanked again, I’d not be returning especially as next week after suffering 2 years of driving a mediocre Diesel car ( what was I thinking ) I’m back in gas guzzling petrol car again. I don’t think I can justify the distance especially as 10 miles less there are swims I know full of Zander where a blank is an impossibility. A mission on the scale of the 1986 Operation Deep Scan of Loch Ness probably wouldn’t even throw up anything, well maybe tyres, trolleys and dead bodies. 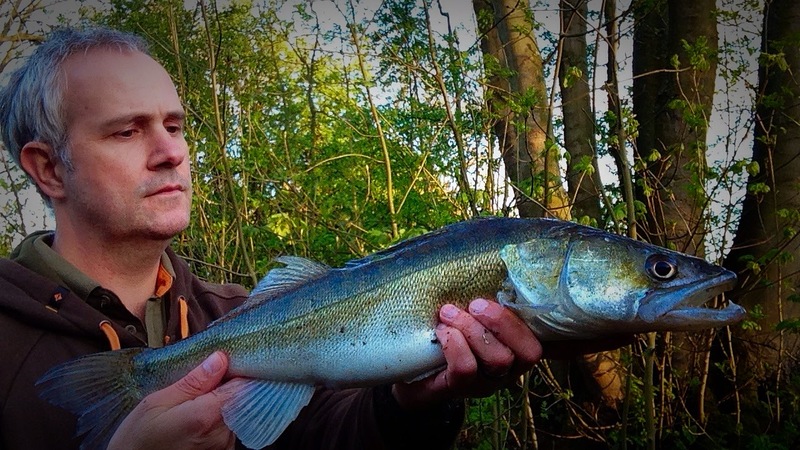 Big Zander are elusive in the Midlands canal system, schoolies aplenty. I need some luck, big time if I’m to catch a decent one….. The session went pretty well to be honest, well with number of fish caught. 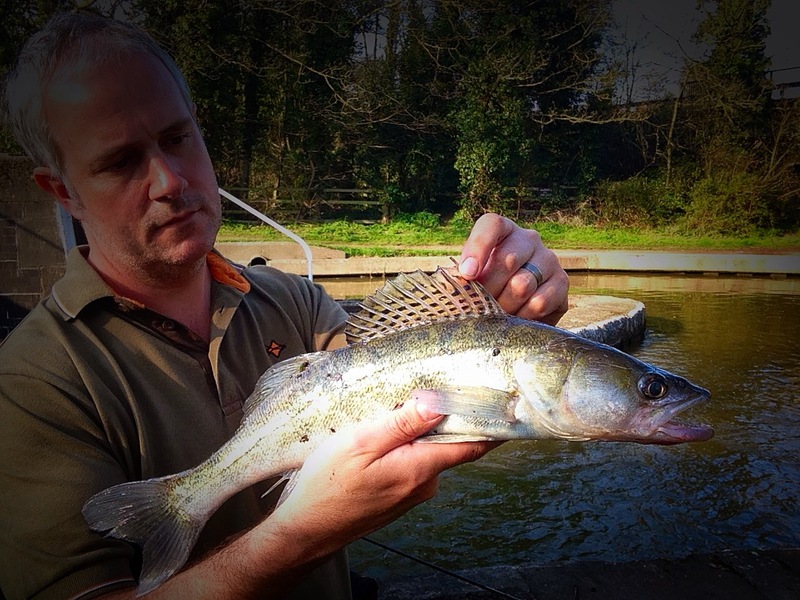 The first couple of swims I tried I never had a nibble but then a 3lb 8oz Zander took a liking to a deadbait I had positioned next to an aerated swim next to the lock paddles. This swim actually produced 3 further fish and a most welcome Perch of 1lb 7oz on the lure. The next lock down I managed another 4 or 5 Zander, all on the lure this time, none on the deadbait. 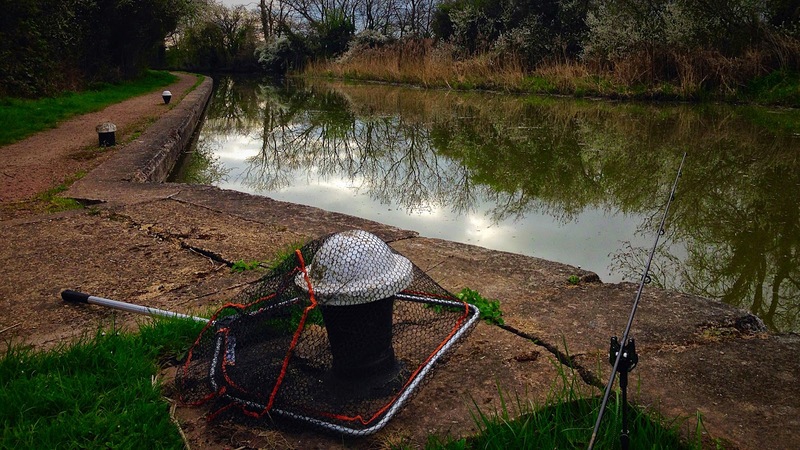 All schoolies though, so I walked another ¼ mile or so to another lock where I managed 2 on the deadbait and 2 on the lure. This area must be chock full of them. With 14 fish caught, and no big ones I got back in the car and drove back to the swim where a fish caused a huge boil in the water when it took an interest in my lure. I positioned a headless roach and used the lure again, it certainly looks like it holds fish, an area thick with near and far bank cover. I think the mistake I made was that I should have started here instead, when a lock gate is open it literally turns in to a flowing river. The deadbait rod was useless as debris being washed down kept the deadbait off the bottom and kept on lifting the bobbin. I persevered with the lure for two hours and swapped the lead to a larger one, sadly a blank again, damn. Encouraging signs and just goes to show Zander are in small pockets and you need to do your groundwork. It certainly helps with the exercise as I walked 3 miles or so. I’m not sure if I’ll fish this area again, it needs more time spent on the bank and not sure I can justify it. 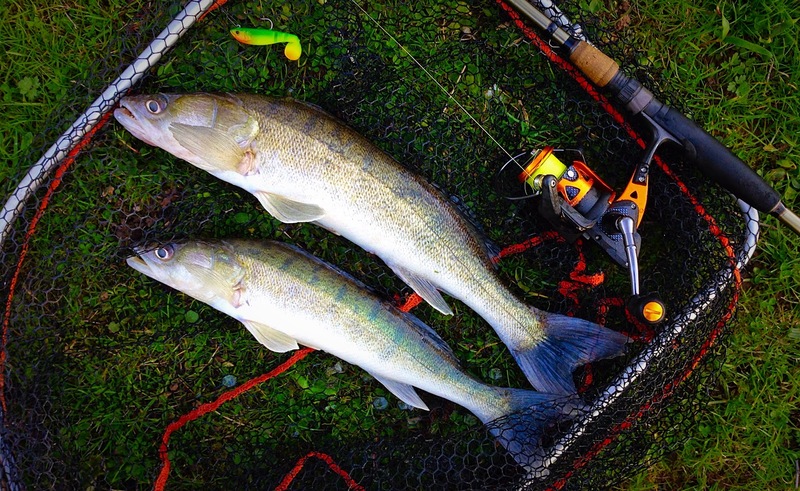 I’m sure there are big Zander to be had. I might rope in a mate and give it one last go and try an evening session when the boats are less and the bigger fish might be more inclined to feed. I finished slightly earlier than planned so took a slight detour to local landmark. 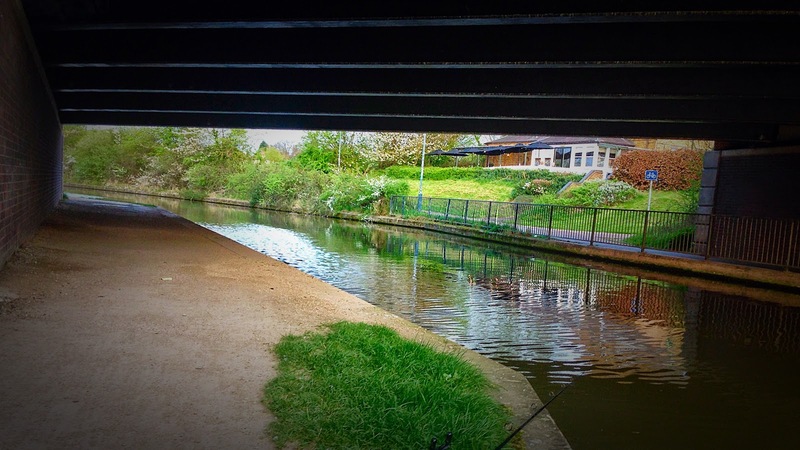 I’ve walked past this stretch before but never wet a line, the overly large paddles provide a fish barrier and occasional gateway to a stretch of waterway that seemingly offers fish utopia. Not only is there more space for fish to spread their fins but as it’s frequented by the boaters and ramblers who regularly feed the ducks and geese it provides a buffet to the smaller fish and that naturally attracts and draws in the mysterious and sinister Zander. Or according to some people I’ve spoken to recently when fishing the cut, the merciless killing machine ,and must be put to death. Yes really…. They are here past the lock gates in numbers too but as the schoolies are a pack fish I’ve only managed a run of the mill sized fish, a pound and half the average with the biggest 3lb or so. All very mediocre considering I’ve spent decent bank time fishing for them. Like my women, I prefer mine with a bit of timber, time for a change…. There was something about this passageway and short length of murky canal though; due to the dense overhanging trees providing lots of cover it’s dark and mysterious no matter the weather. Even in the sunniest of days it’s gloomy and the permanently moored and seemingly abandoned barges also add to the interest. If there is a reclusive larger fish to be had, it’s got to be here. It was a short session but having blanked recently I wanted a fish on the bank. Upon arriving and walking to the swim I saw a couple of carp on the surface, not huge, probably 5 or 6 lb or so but a nice sight all the same. After 2 and a half hours or so in 5 different swims with a lure rod and a deadbait sleeper I hadn’t a touch so I made the decision to drive to an area a couple of miles away and spend the last half hour there. It was a swim where I’d lost something half decent on the lure a few weeks before. 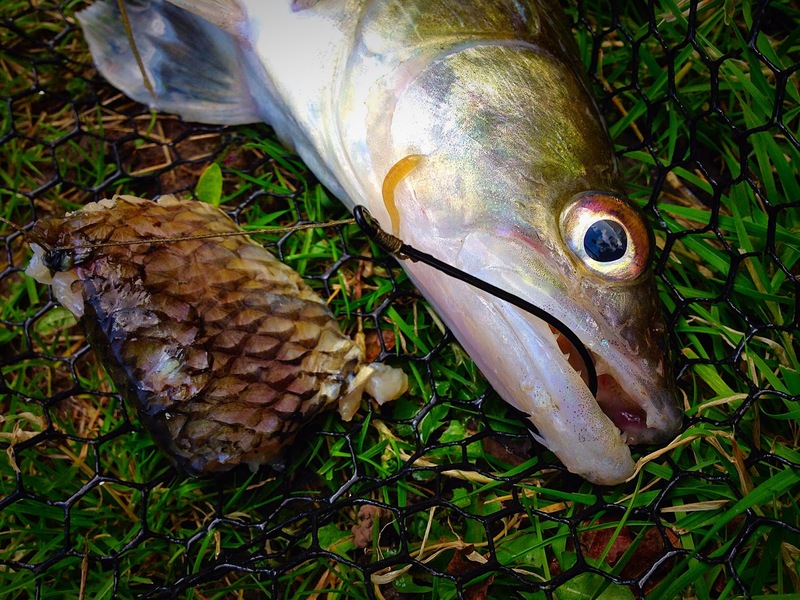 A deadbait was positioned in an area of oxygenated water and I began to throw the lure around the swim. Within 20 minutes or so the sleeper rod was getting some interest and sure enough the bobbin started to rise in a vigorous movement. Strike, and a fish was on. It felt half decent too, they are not the strongest Zander but they give a reasonable account for themselves. With the fish in the net and the roach section still intact I cast out in the same area and weighed the fish. My PB canal fish is 5lb 4oz and this fish matched that exactly, damn, no PB but still a half decent fish. Within 5 minutes of the fish being returned to the water (oh, the horror) I had another bite, this time a really angry schoolie of a pound and a half or so that cut my hand. The small ones really are aggressive little bleeders. I’ve another three sessions planned in the next 7 days, I’m enjoying this Zander challenge and makes a nice change than fishing a pool that you know contains big fish. 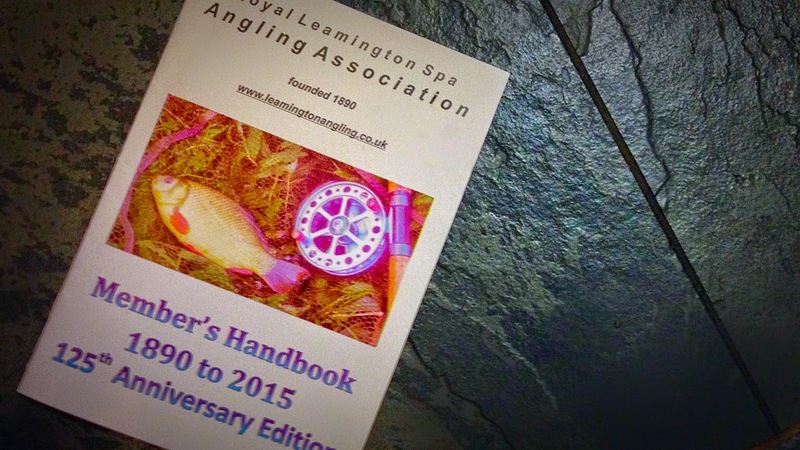 Off topic but the Royal Leamington Spa Anglers Association is a cracking club, well run and some excellent waters in their book. The secretary Anthony Simmons asked if he could use one of my pictures that I took for the125th Anniversary Edition Member’s Handbook. I received my new book and the picture is proudly shown on the front cover.Some printing issues as the colour is a bit weird but nice to see it all the same especially in another month or so I'll be trying to catch one of the old warriors that are in the reservoir. 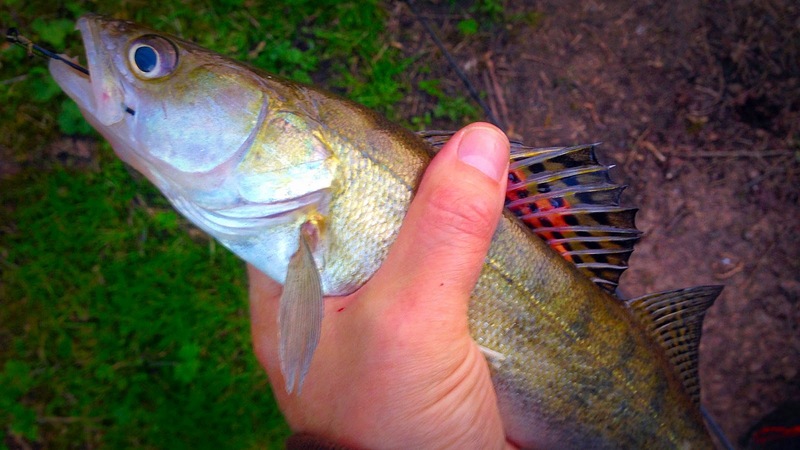 Closed Season Zander Quest Pt.3 – A cast of thousands. I was given some information sometime ago by a well renowned match angler who just happens to be a friend’s brother. 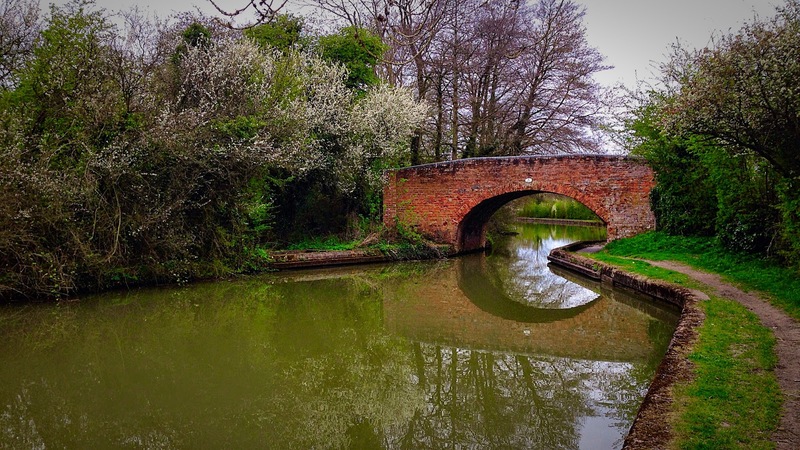 He told me about the possible whereabouts of large Zander on a short stretch of the Grand Union Canal deep in the Warwickshire countryside. The stretch was a mile long, devoid of locks but full of cover. I fished it for 5 hours leapfrog style with a headless roach on a sleeper set-up and a shad equipped lure rod and sadly blanked, not even a nibble, a take, or a follow, bugger all in fact. It was much further away than I usually travel so I didn’t rush back to return. Until this session that is….. This stretch doesn’t see that much traffic the water is weak tea coloured rather than nan strong, it wasn’t clear so the Zander if they are here shouldn’t be put off. It feels far more open than my usual haunts and to be honest not something that appeals to me. 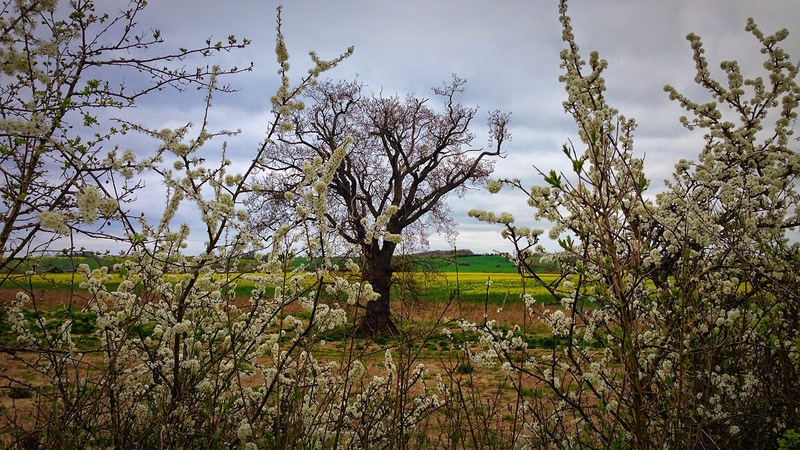 I couldn’t put my finger on it; it’s all a bit samey and the landscape a bit dull, maybe that’s why it’s quiet with hardly any anglers, gongoozlers, dog walkers or boaters. I’m usually all for that as I’m an angler who seeks solitude at every opportunity but this part of the Grand Union if it wasn’t for the large Zander potential, does nothing for me. A big Zander might change that though. So enough of the drivel how did I get on ? ….. 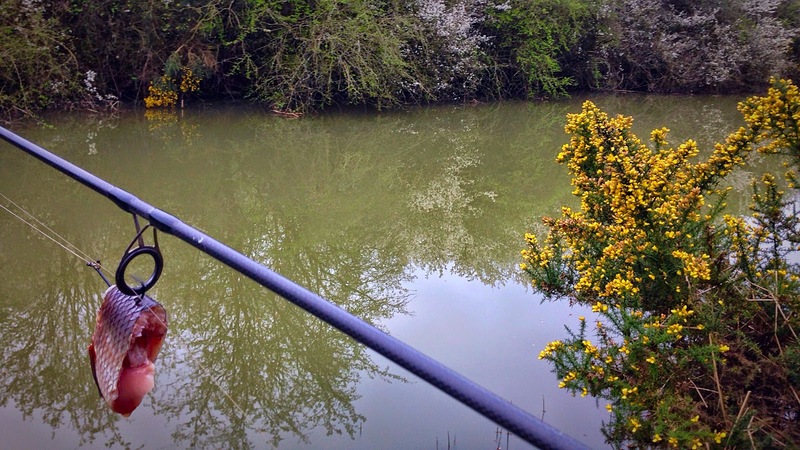 The session started bizarrely, after positioning a deadbait as a sleeper and then fishing in and around the lock with a lure for half hour or so I moved a ¼ of a mile away to a fantastic looking 150 metre area with plenty of cover and feature, at the far bank and also the margins. 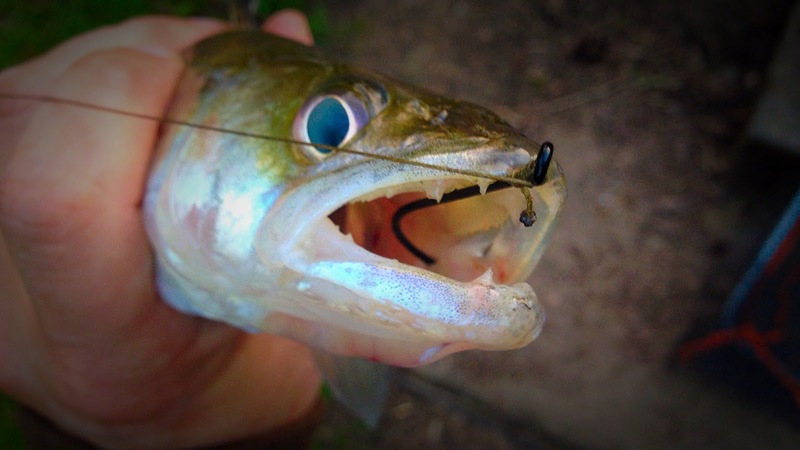 A Roach section was positioned and shortly after I started to throw the lure around I heard a group of girls. Weird, this is the middle of nowhere. Anyway it was a group of backpackers walking the towpath. After a few pleasantries the small group of 18-25 year old girls continued on their way. They were taking part in the Duke of Edinburgh Award Scheme and had a route to follow. They reached a small bridge which was around 100 metres away and a few of them dumped their bags and stripped off to their underwear to change in to a new set of clothes, in full view of me I might add. A surreal moment indeed, I must have a friendly face. Once I got my concentration back and my mind back on the fishing I tried a few more swims and the only other lock without success. I think I had a few takes on the drop but nothing that resulted in a fish. No indications on the deadbait at all. It’s a huge expanse of water so it is needle in the haystack stuff I would suggest and there doesn’t appear to be a population of schoolies. I returned to the feature packed swim and decided to spend the last hour and half there, it just looked ‘right’. The sleeper rod was positioned within a gap between the thick cover and again I started to throw the lure around in what seemed like the thousandth cast, as I was retrieving it and around a metre from the bank something made a grab for it resulting in a huge surface boil, damn, this looked big. A dog walker was making his way up the tow path towards me and literally before he asked how was I getting on, again a huge boil in the water and something tried to grab it again. “Well there is definitely something down there". Maybe the fish was spooked by the talking as another 45 minutes or so within the swim not even a touch. Certainly encouraging but five hours ended in a frustrating blank. Bugger !!!!! The next session is planned for Wednesday... this time 2 hrs of an evening closer to home. More often than not if I do fish the cut at dusk I tend to have a mate in tow. Apart from the obvious safety in numbers aspect it means a two and half hour session after work can be followed up with a natter and a pint of Mad Goose, it breaks up the monotonous week too, which isn’t a bad thing. The towpath as the light fades puts the fear in me and respect goes to those that don’t have an issue because certainly when targeting Zander it’s one of the best times to catch them. If I do fish on my own I tend to stick to well lit areas and fish to the end of civil twilight and no more. Fish well in to dark on the cut, bugger that. I’m always looking over my shoulder and for that reason don’t enjoy it. Canals in their nature are more coloured than rivers so fishing in the dark or dusk doesn’t matter so much, with their huge eyes and great vision they are perfectly at home in their murky environment and will feed in spells throughout the day, however for me I’m trying to get as much bank time as possible so these short midweek sessions are ideal as I get to fish prime time and also it doesn’t affect the family life. For this session I decided to visit a stretch on the Grand Union I’d not fished before, feasting one’s eyes on Bing Maps it showed a promising area as it showed some possible fish hold features amongst the humdrum and it also had a pub in dart throwing distance. 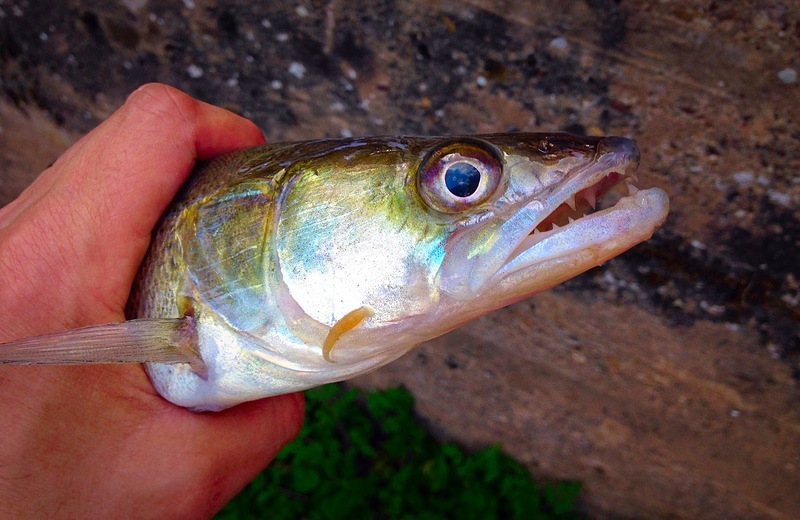 It was smack bang in the middle of Midlands Zander territory meandering its way through the centre of town. Not my usual choice of swim but it had a larger than normal area in a couple of places and was hoping the extra hunting space would suit a bigger fish. I was hoping to target a loner, an anomic if you like, a bigger fish happy to be away from the schoolies I’m trying to avoid. I intended to fish roach sections on both rods, one was a float set-up where I’d use a betalight for the low light conditions and the other my standard running rig on a Delkim. 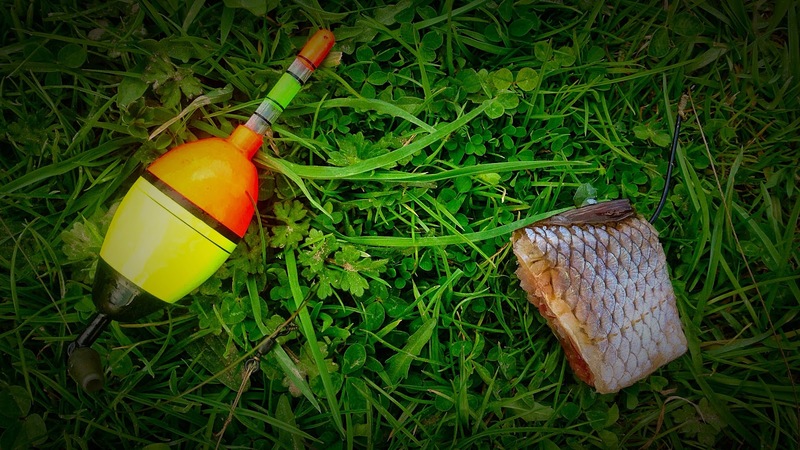 I’ve found with deadbaits if there are Zander in the locality they will quickly find the bait so after twenty minutes without a bite I’d refresh the bait and also move it to a different area. For this session though I planned to leave the baits for a bit longer than usual as there area I planned to cover was far larger than normal but it would give more time for a fish to find them. This Town stretch doesn’t see huge amounts of boat traffic so it’s a bit clearer than the usual places I fish and less liked by the schoolies from what I’ve found as I’m sure they feel vulnerable. Being clearer means Pike might also be about, ironically in my bank time when targeting Zander I’ve never caught a Pike. Bait in my experience will catch more fish than a lure however ironically my Canal PB of 5lb 4oz came to a small 2” firetiger coloured shad. So how did the session go………………? Well not brilliant to be honest, in and around the boat turning bay two deadbaits were positioned and refreshed 3 times without a touch. 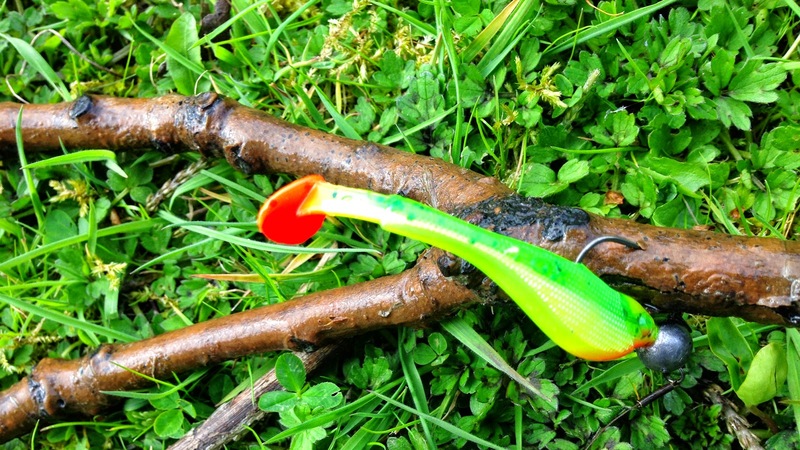 Even the lure rod didn’t receive a touch, take or a tap. 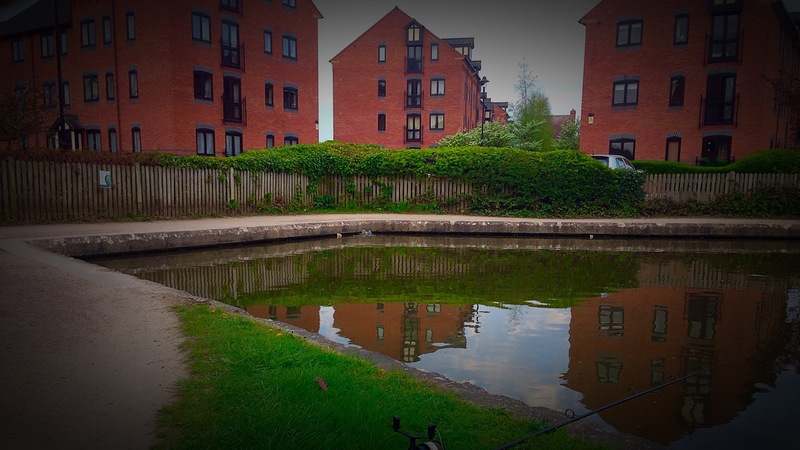 We moved more in to the heart of the town and found a more secluded spot and eventually found a few fish. Biggest probably wouldn’t even make 2lb the smallest a disappointing 1lb. All three taken on deadbait with the lure only managing a fish on for a few seconds. I shall not be returning, far too busy for my liking, walkers, dawdlers, bikers and joggers. At least some of the lycra wearing eye candy was half decent. But I knew trying to catch a specimen Canal Zander its needle in haystack stuff. Next session planned is a 5 hour session on Saturday…. I’m not a match fisherman, it’s not my thing but these Shanghai AC matches are a great way of networking and keeping in touch with fellow automotive contractors, the ‘jobbing’ market is a small pool of people who move around and networking is a must. (to be honest, it’s a good excuse to go fishing). Huge bag weights seems to where it’s at in modern commercial match fishing, and I for one cannot see the appeal, overstocked pools with hungry competing fish with multiple keepnets required to hold the huge quantity of fish, fishing ? 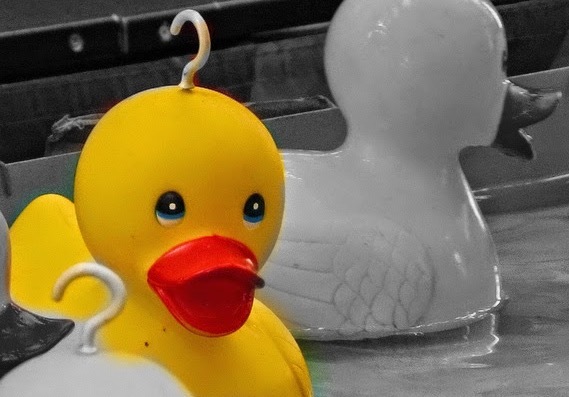 hook a duck springs to mind. I remember the first time I fished Tunnel Barn which was a few years ago, it was the height of summer and there was a match angler sitting on an island bridge on House Pool with his legs dangling in the water, with a whip and a few pellets and he was catching wet lettuce F1’s by his feet like there was no tomorrow. It was literally fish soup. 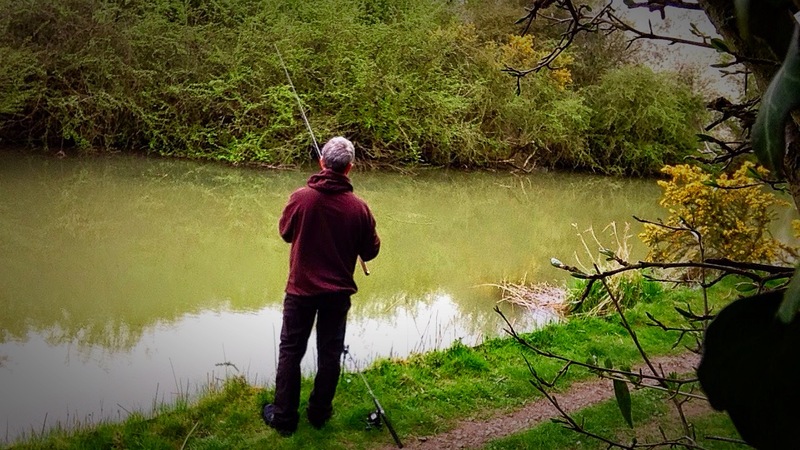 Last year we fished it again and despite booking certain pegs on one of the pools, one of the regulars was insistent that he had a certain peg and we had to fish around him, this miserable chap was whacking his pole on the water to attract the fish, tutting constantly at our inferior tactics whilst clearly his blood pressure. I bet he has fished the same peg twice a week for years and has names for individual lipless F1’s. 2 years to the day we fished house pool and it was bitterly cold and was won by Steve Breese with 22lb with many struggling to even muster up a bite, today was 20 degrees, madness. It’s still cold overnight so the the water certainly is nowhere near summer temperatures when huge bag weights at Tunnel Barn can be achieved. Although I’m at polar opposite to the match fisherman and it’s ain’t my favourite mud puddle I enjoy these monthly matches; it’s about fun, catching up and a bit of banter……. I’ve even for one of the matches decided to target the specimen >4lb Perch that bottom pool reputedly holds, I didn’t do very well, no perch just carp. For the match I had two rods set-up, a bomb rod that I intended to fish close to the island towards the end of the match to try and pick up a bigger carp, and a light float rod that I intend to fish at tight as possible to the margins. There isn’t really science when catching F1’s they tend to hook themselves and I’ve found the tighter you can get to the inside the better. They seem to come up in the water to feed so I intend to swop between half depth and shallow. Bait was maggot, pellet and corn with a few small pellets fed little and often. As soon as the match started Dave Roberts was the one to watch, it was catching straight from the off. I was getting indications on the float when fishing the margins but they were must have felt resistance on the float because they were reluctant to take the float under. I was getting indications on the float when fishing the margins but they were must have felt resistance on the float because they were reluctant to take the float under. 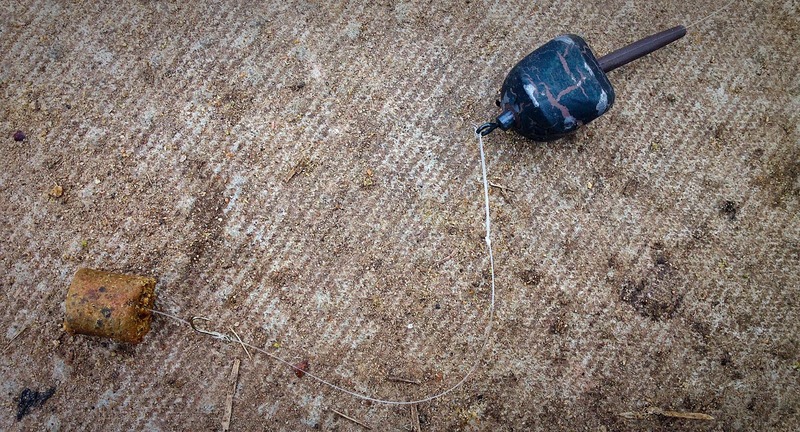 I decided to whack the bomb rod out to the island and switch to a lighter float and lighter hook-link. Within ten minutes I had a half decent F1 on the bank but then after half an hour without any bites I switched back to the lighter float in the margins. This was the change required as I started to catch some fish. Rich Gould to the left of me was also fishing the margins, albeit with the pole and he was catching well too. The last hour I picked up some better F1’s and was looking at a reasonable weight. Dave Roberts would win it though, but until the weigh in we didn’t realise it was a club record. The fish seemed to be in better condition which is good but still, you can see just how much the pools have been stocked. The reputed 140,000 fish is probably right. Zander Thursday evening for a couple of hours, cannot wait. 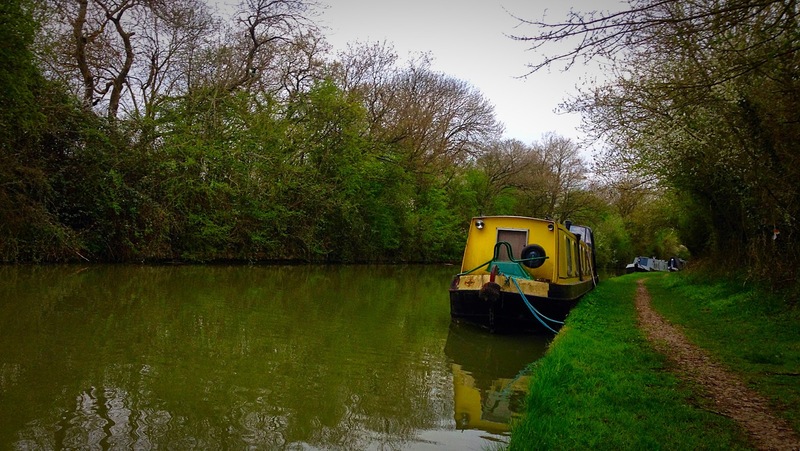 After returning from sunnier climes the first session of my closed season double figure canal Zander challenge I knew it wasn’t going to be an easy task, 15 or so miles of canal to explore and not one inch of the towpath I’d trodden. In less than ten minutes drive I could rock up at a certain banker swim I know very well, whack out a headless Roach and within an hour have a few fish on the bank. Out of the countless I’ve caught at the banker swim and other swims in throwing distance the biggest only went 3lb, I don’t want schoolies I want their parents. For me it’s very much unchartered I’m expecting to blank more often than not, they ain’t that easy these Zander, especially when targeting the bigger ones. 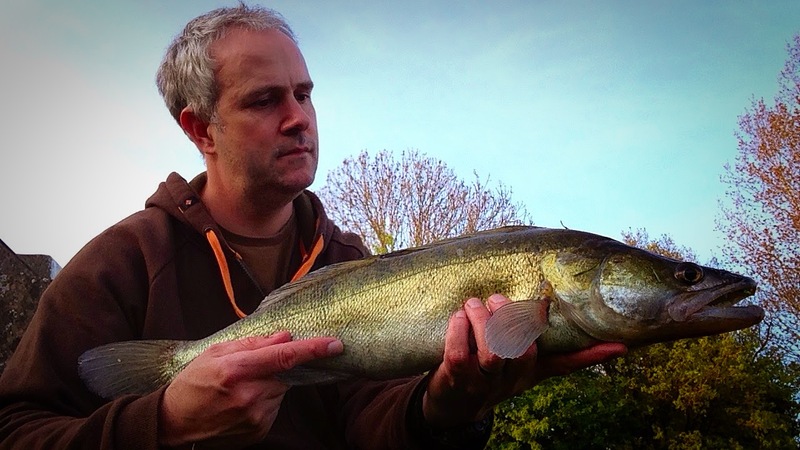 My PB canal Zander of 5lb 4oz was lure caught so for the first few sessions I plan to use a two rod approach, a light lure rod donned with a highly successful fire tiger coloured lure and then a float set-up with a headless Roach as a highly visible sleeper rod. I aimed to try and cover up to a mile or so in each session, and then suss out the areas where in the future I’d target specifically with deadbaits. I use Roach exclusively, and to be honest condition doesn’t really matter. You would think they would prefer a fresh bait but manky ones that have been frozen and defrosted repeatedly work just as well. They are voracious feeders, they don’t mess about. The tried and tested Jeff Hatt recommended Mustad ultimate bass 2/0 hooks (with the barb flattened) would feature in the float and running deadbait set-ups. I’ve such confidence in the pattern I couldn’t really think of using anything else, they transformed my hook-ups and believe you me using other hooks really did lead to frustration with many a fish managing to lose or shake the hook. The fish banked rate went from 1 in 7 landed to 6 out of 7. A 5 hour weekend session and a one evening in the week would mean plenty of hour’s banktime, for me as a multi species angler, a carpet bombing approach is a bit alien to me if I’m honest, but it’s an incongruous fish, and needs a bit more dedication from my usual dabble here and there. It’s a mobile pursuit targeting canal Zander so travel as light as possible. I have a folding landing net, two rods, and a small shoulder bag . In my experience apart from the problem of finding the fish, there doesn’t seem to be a pattern in their feeding. First and last light is a good time but then I’ve had them feeding in short spells in bright sunlight in the middle of the day. So how big do these canal fish go, well amongst the many ridiculous made up weights, over estimations , forgotten scales and ridiculous arms out small head big fish pictures , doubles certainly do exist I’ve no doubt about that but I would suggest needle in a haystack stuff. As the local midland bloggers have discovered you could spend literally hundreds of hours for a half decent 5lber and then someone could rock up at a swim put a bait in the right place, at the right time you could catch an elusive double, a lifetime capture if there ever was one. Sadly time doesn’t equal success in this game. The first session just over a mile, I managed to find some Zander and despite it being bright and sunny I managed 6 fish from 4 different swims, nothing huge sadly, the biggest was a nadger under 2lb and took a liking to a deadbait as I was playing a fish on the lure. 6 fish caught with 5 on deadbait (all runs landed) and 1 on the lure. I’m looking forward to the next session.